Their working method is to first immerse themselves in their context and location in order to understand the existing challenges and opportunities. Then, they design buildings that “deliver dignity, improve health and well-being, and have the greatest positive impact in the communities they serve.” The construction processes aim to maximize the economic, educational, and environmental outcomes. “Finally, the end of construction is in many ways a beginning. 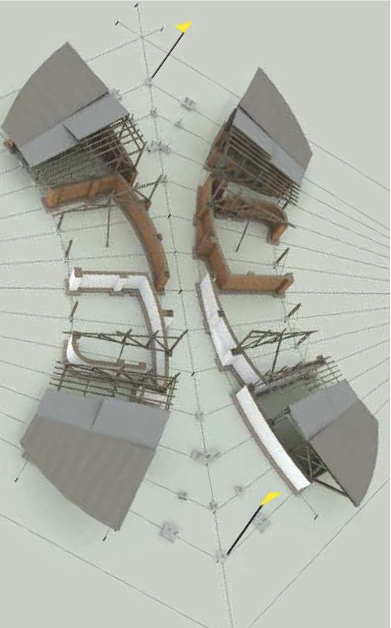 We evaluate the quantitative and qualitative impacts of the design and construction process to prove the value of architecture in improving people’s lives.” This in turn informs future projects. 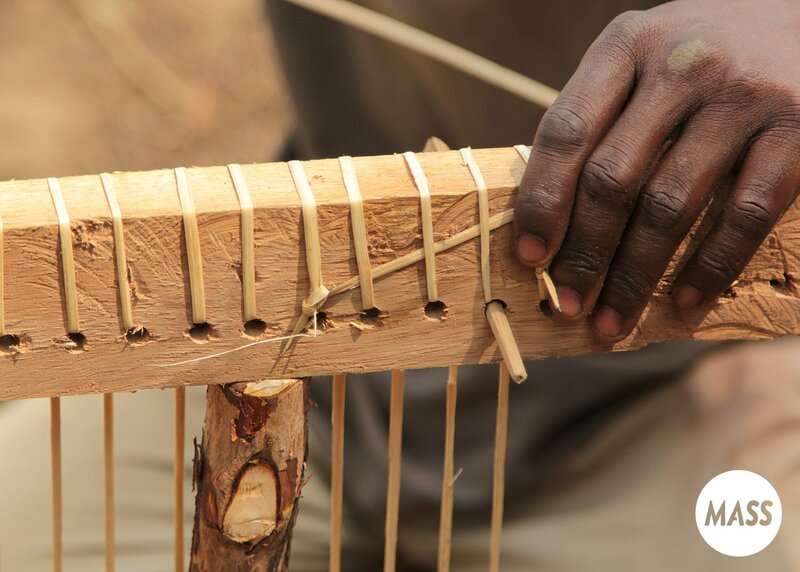 In their third video, “Ilima: Beyond Sustainability” MASS explores it’s collaboration with the African Wildlife Foundation and local masons to build a primary school in the rural Congolese jungle village of Ilima, where, due to its remote location, the construction will employ exclusively local materials, including the fabrication of custom shingles using local timber on-site. More than a primary school, the building will also serve as a community center for the safe and mutually beneficial integration with the local environment and wildlife. Conservation and community development, they argue, is most feasible when communities are given the opportunity to develop in harmony with surrounding natural environments. 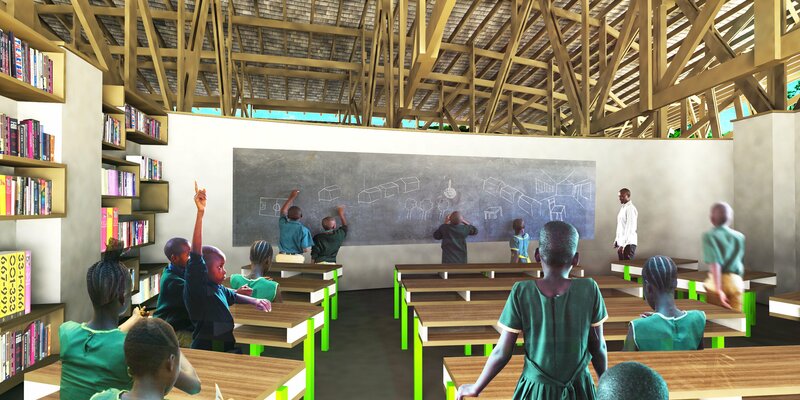 The school will foster learning opportunities around conservation, and the classrooms will offer views of the forest, reinforcing the link to the natural environment. As the village sits between two land uses—untouched forest and areas that were cleared by people for agriculture—the school is situated to span these areas. 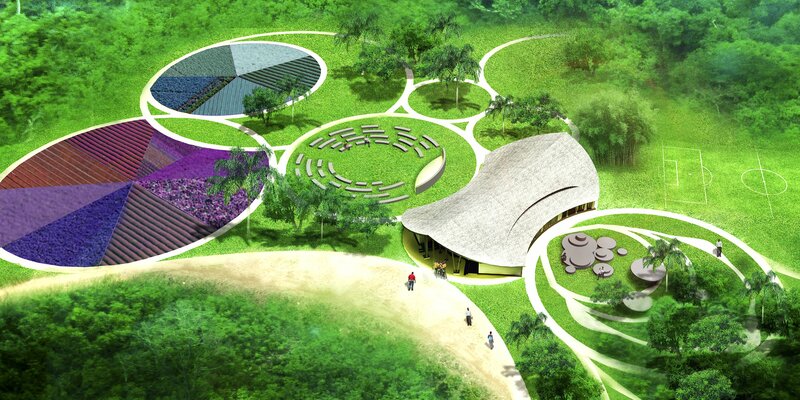 All classrooms feature views of the forest, reinforcing the link to the natural environment. 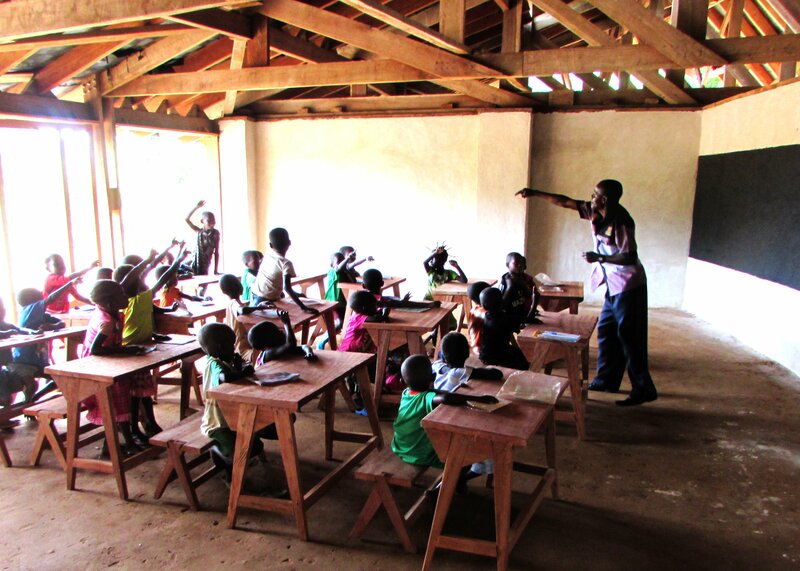 Due to the rainforest climate, with heavy rains and high heat, school walls will only go up to two thirds of the ceiling to allow for unrestricted ventilation. The structures are covered by a large suspended roof to provide extra shade from sun and shelter during rains. Rain catchments will allow for rainwater collection, which will be used in agriculture. 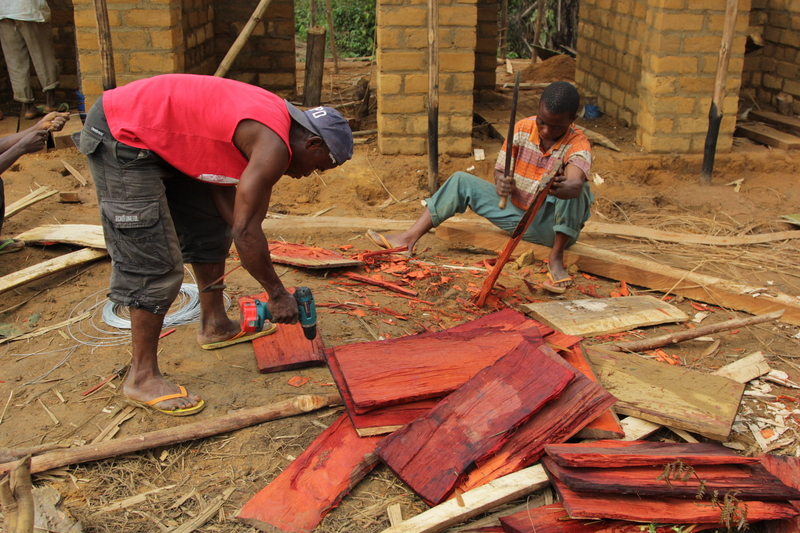 Led by MASS Design, school construction is being carried out by members of the local community. They are being trained and employed through the duration of the construction process. This transfer of knowledge will allow community members to maintain their school building, ensuring that the building does not fall into disrepair and leaving the community with newly learned, employable skills. This will further transfer ownership of the conservation school to the community. 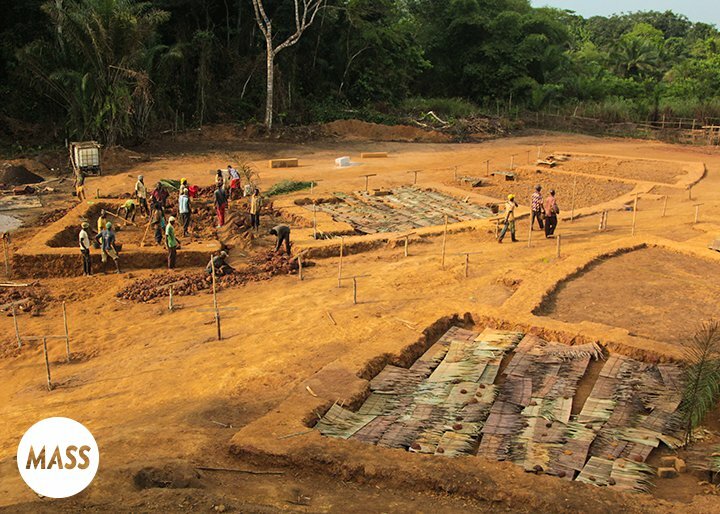 Because of the village’s location deep in the Congo Basin, MASS calculated that it would take at least one month and multiple modes of transportation to ship construction materials to Ilima. “We want to build efficiently, inexpensively, and functionally,” says MASS’s Murphy. Thus the new school will be primarily built from locally sourced brick, with a shingled roof made from a local hardwood. 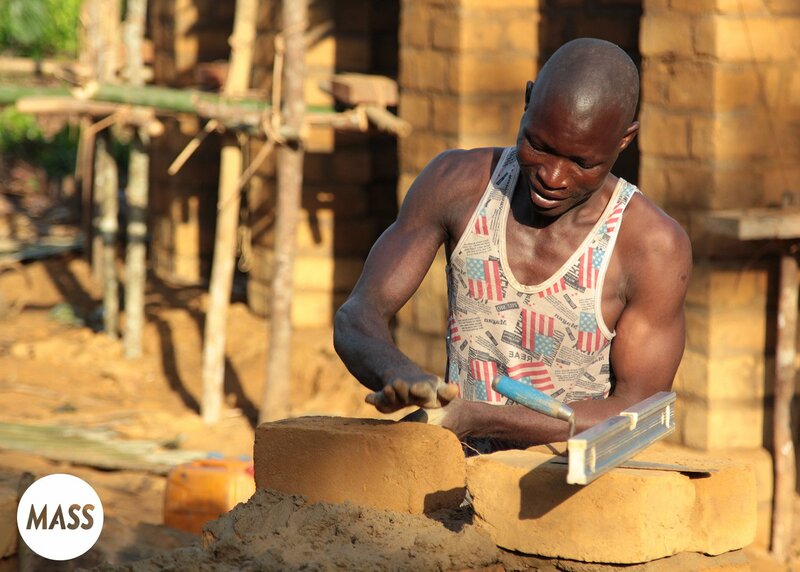 The community will be trained and employed throughout the construction process, a hallmark of MASS’s typical construction process and in keeping with AWF’s capacity building philosophy. The current status of the construction is that the school is nearly completed. Although some landscaping and roof work remains, classes have already began. MASS Design Group is a nonprofit design firm based in Boston, MA and Kigali, Rwanda. Check out their video above!